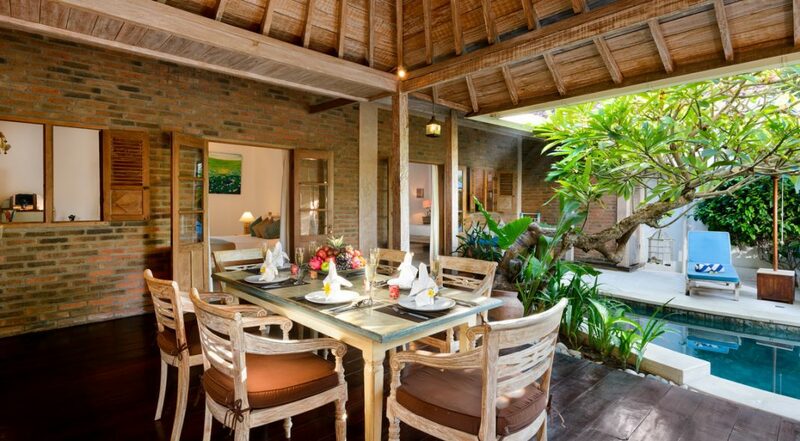 From $ 240 $ 192AUD per night We have direct contracts with most villa owners. We don't add any booking fees. We are 100% transparent with no nasty surprises. 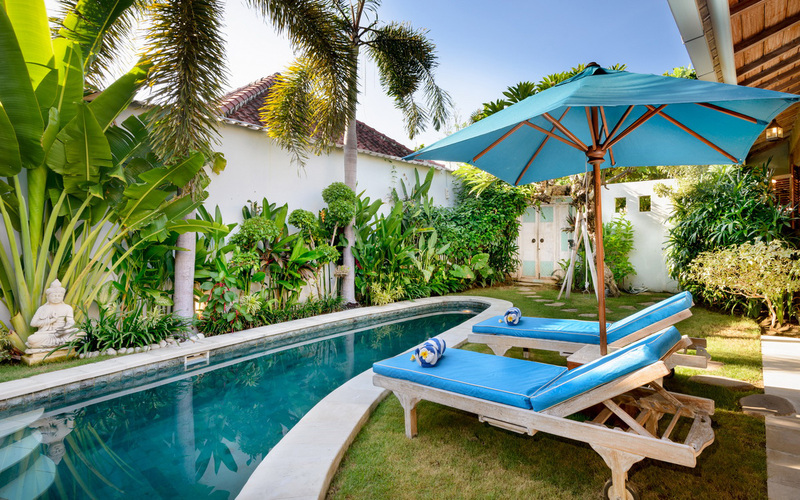 Villa Amsa is full of character and charm. 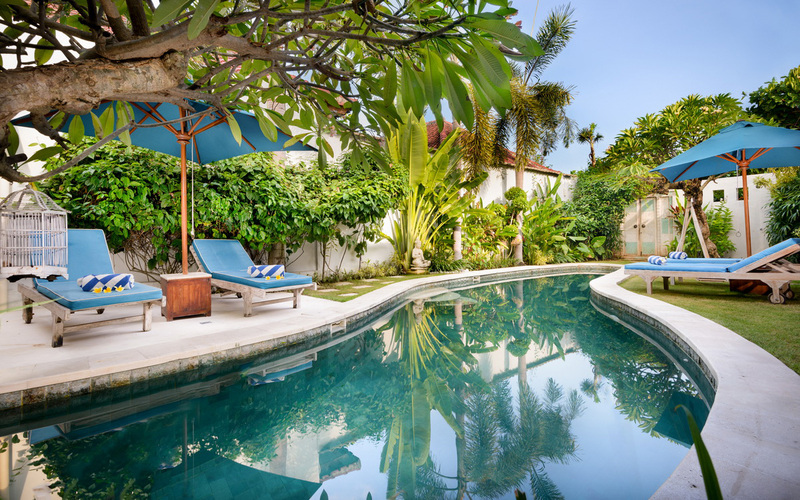 This 3 bedroom Seminyak villa holiday rental offers comfortable accommodation for 6 guests in a quiet area right on the fringes of Seminyak bordering bustling Legian. 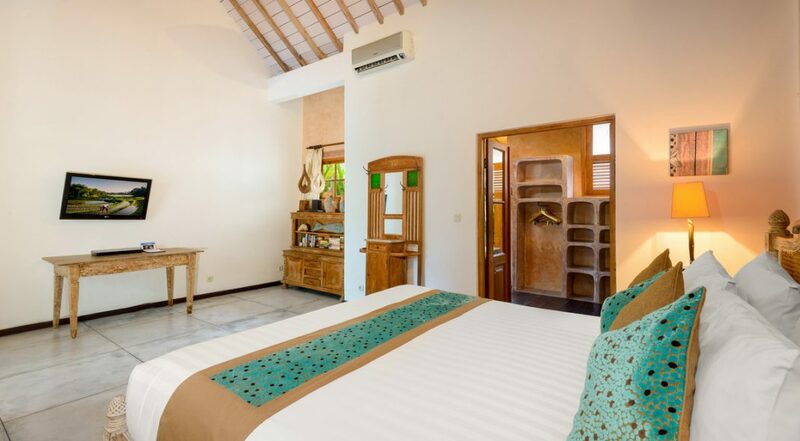 The villa offers great value for money and is the ideal choice for a group of friends or family looking to keep accommodation costs low, so there is plenty of spending money for day trips, dining and shopping at the vast array of restaurants, cafes, boutiques, night spots and beach clubs. 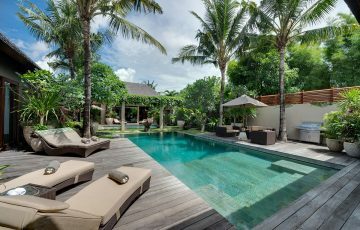 The sparkling free-form pool runs almost the entire length of the garden; the kids will have a ball swimming here for hours each day. 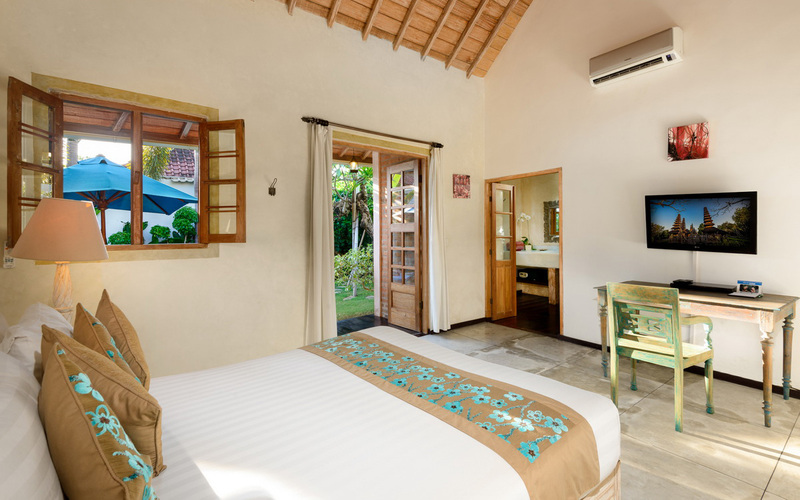 The villas high wall offers plenty of privacy and the pool is bordered by tropical palms and plants while mature frangipani trees are towered over by soaring coconut palms. 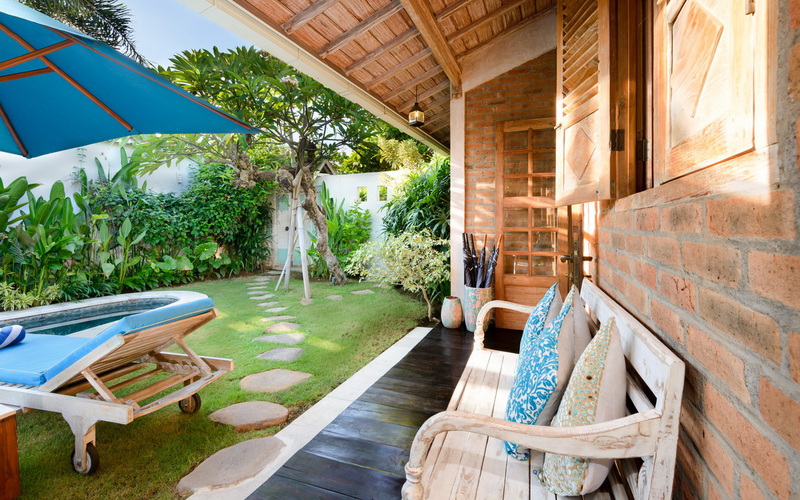 White-wash sun lounges with soft, comfy blue cushions and parasols ‘are ready for relaxation after a refreshing swim. 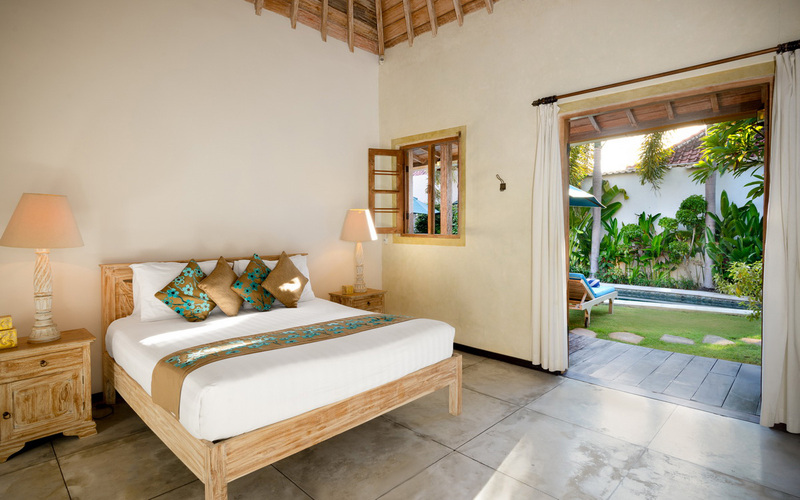 There’s an antique daybed on the verandah, perfect to curl up on with a good book. 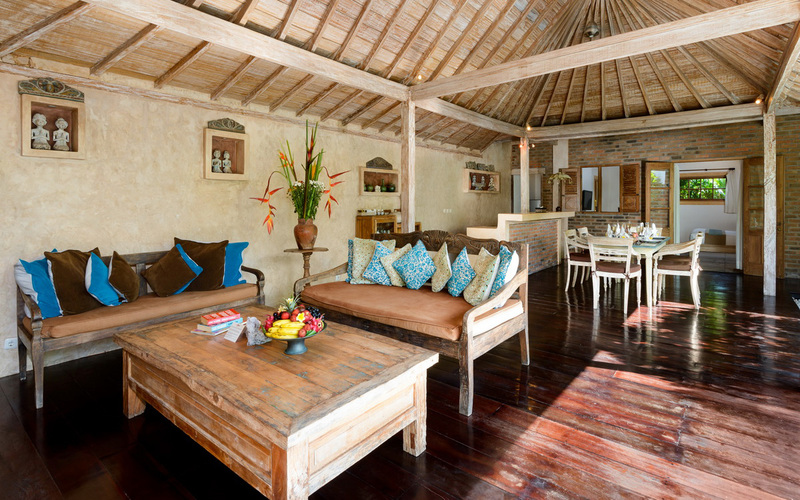 The living areas high pitched timber ceiling is constructed with rustic white-wash timber as are the roofing beams and uprights, this along with ceiling fans helps to keep the area cool and breezy. Solid hardwood flooring and a selection of comfortably cushioned chairs and settees are great for relaxing in front the TV or set your own holiday vibe with the surround sound system. 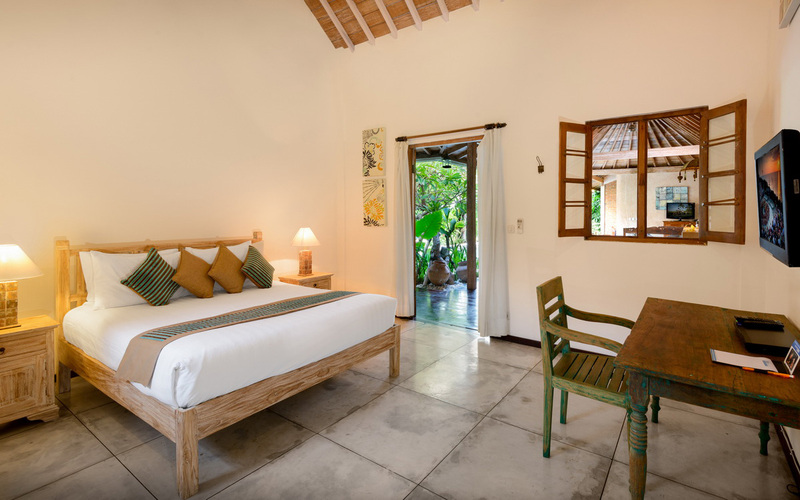 The master bedroom opens onto to the swimming pool with a comfy king size bed and desk just in case you need some uninterrupted time to do a few emails and keep in touch with home. 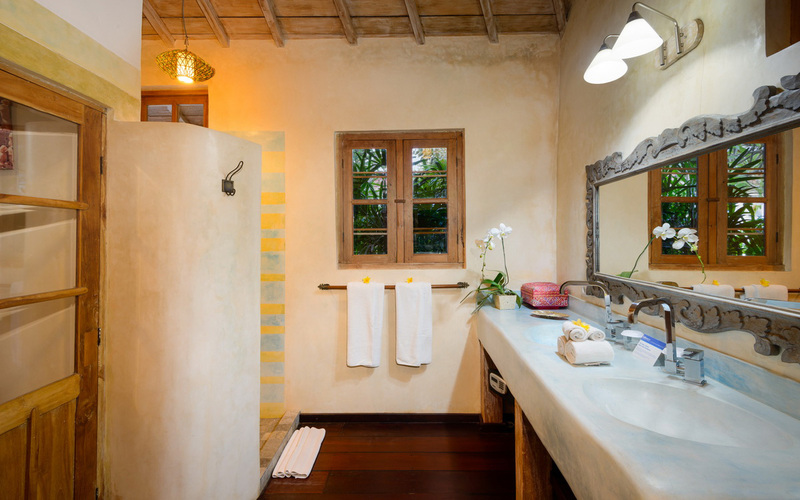 A pleasant white-wash and rustic theme with clean white walls and a semi open en-suite makes each room very inviting. 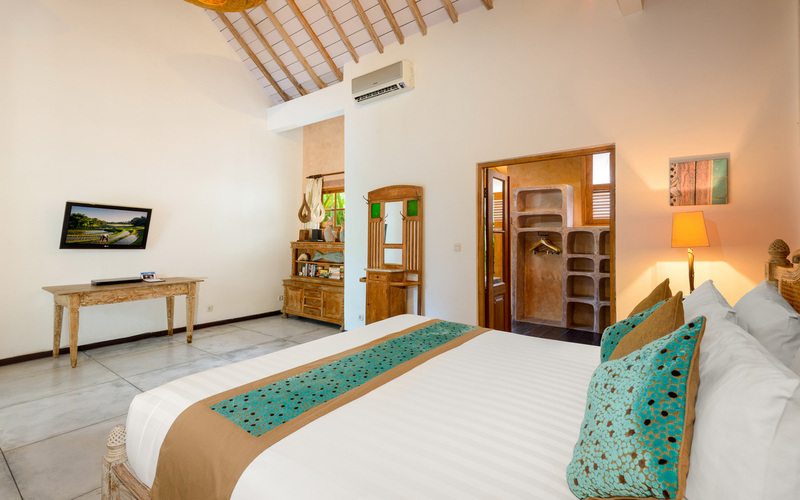 The guest suites provide queen size bedding with en-suites and all rooms are air-conditioned. 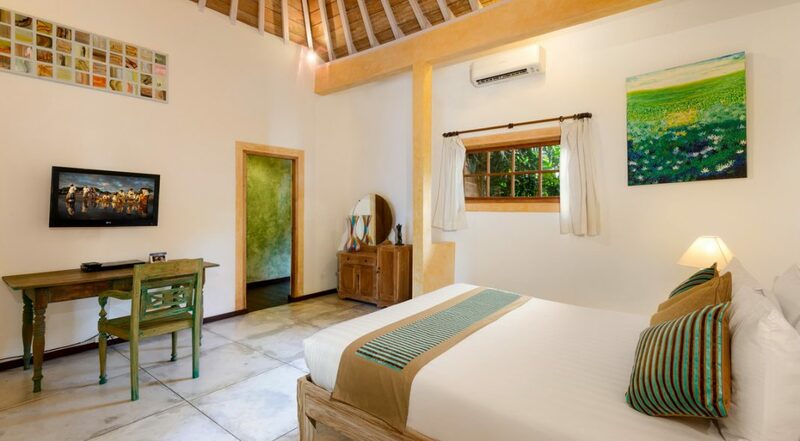 The staff at Villa Amsa will serve you with grace and that warm Balinese hospitality; don’t hesitate to ask if you need any help booking a day trip, maybe organizing a baby-sitter or even an in-house massage and spa services. 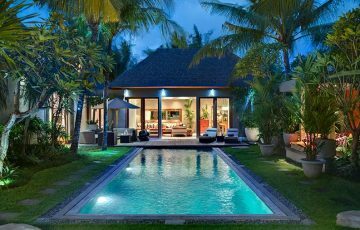 Exit the villa and continue straight across Jalan Legian / Jalan Raya Seminyak and you will arrive at continue Double Six Beach. You will find great cafes and beach bars here, rent a sun lounge on the sand, have a cold drink and enjoy the passing parade of people . 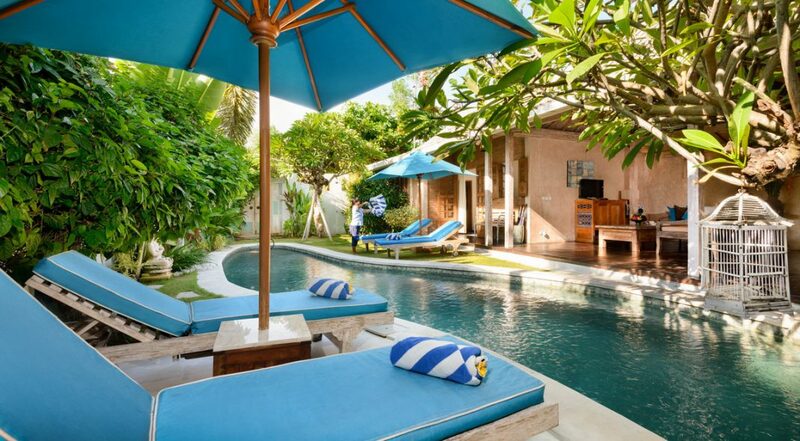 Cocoon Beach Club has an outdoor pool overlooking the beach as well as fine dining, the seafood here is exceptional. 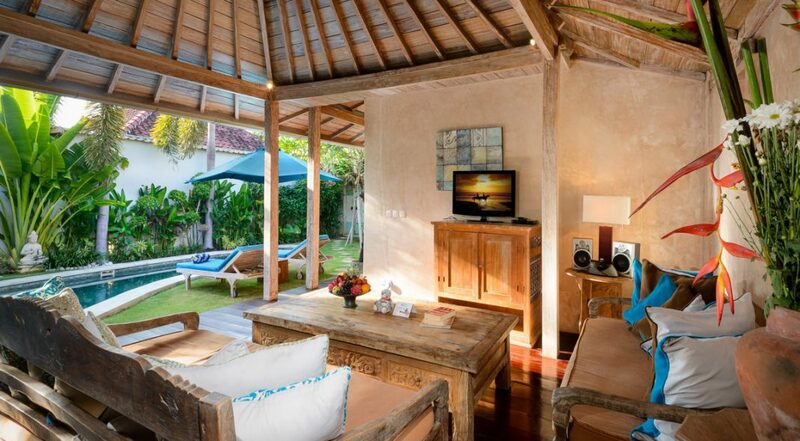 Amsa is really in a very central Seminyak location right in the heart of all the action, colour and vibrancy. 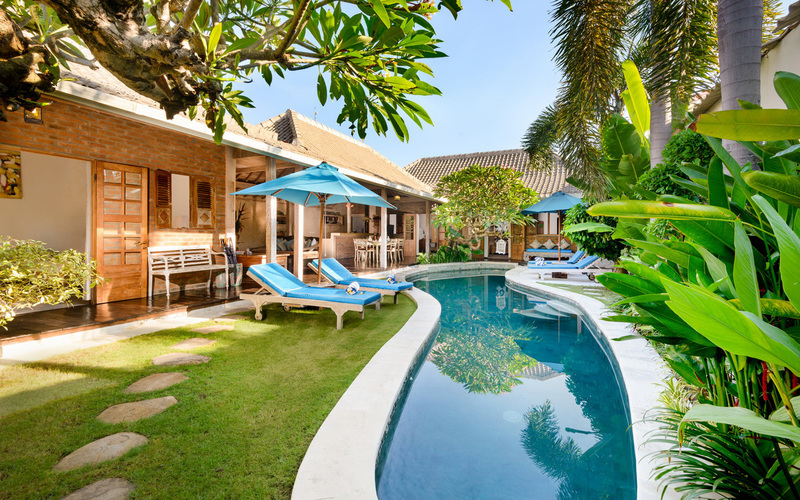 To view other Seminyak villas in a fabulous location near Eat Street and the beach or our full range of Bali villas to rent please browse this website or contact our reservation team. 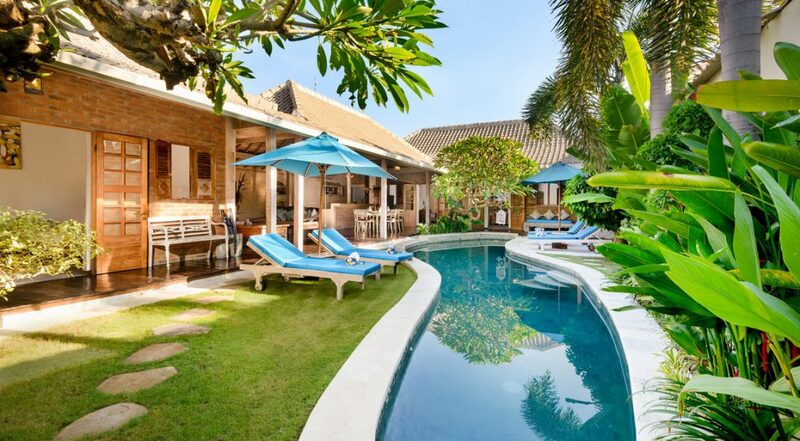 This is a really popular Seminyak villa so please book Villa Amsa well in advance, especially if your planning a trip to Bali during the Australian school and public holidays. 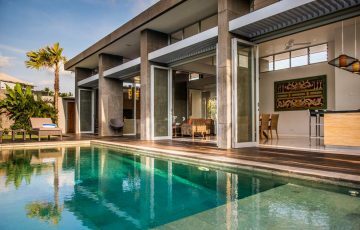 We were after a well priced villa in Seminyak and came across Villa Amsa when doing our research online. 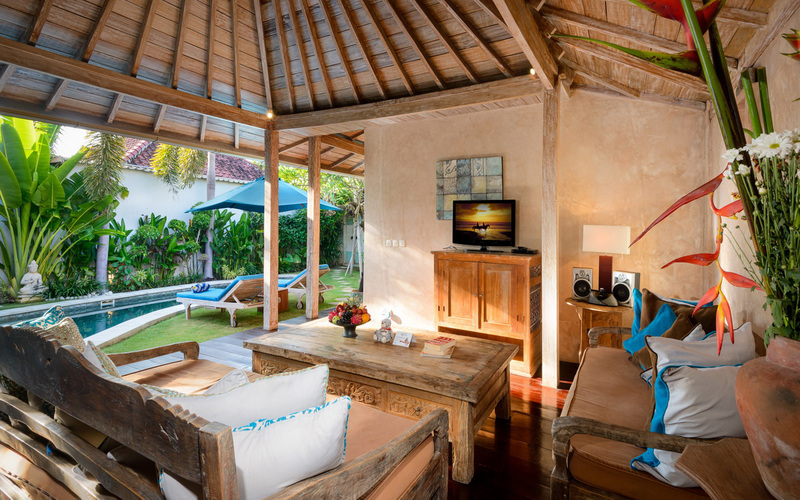 Location was really close to the beach which was perfect for an afternoon swim and watching the magnificent sunsets. 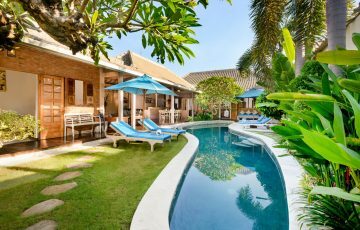 The villa overall was fantastic and had everything we needed for our 1 week stay. 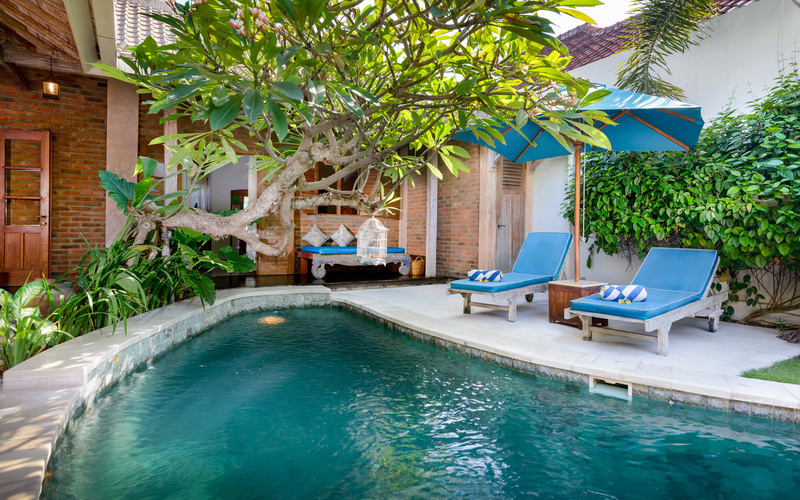 We loved the pool and the open plan living areas. 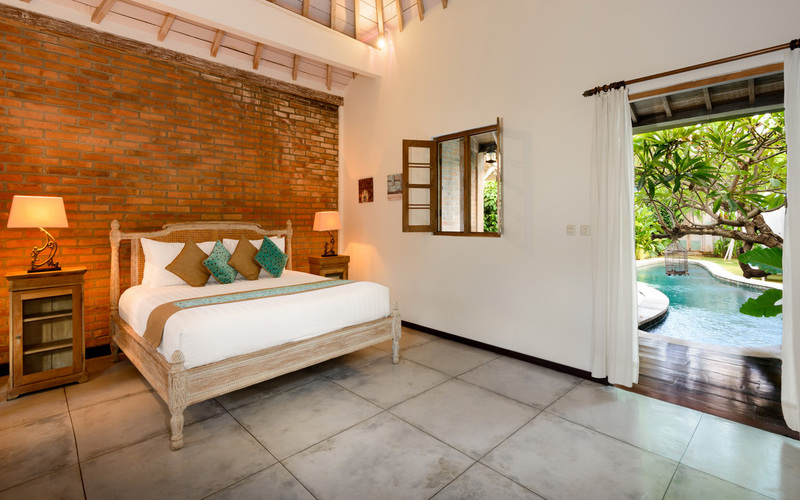 We really felt as though we were in a tropical paradise staying here and loved the atmosphere and vibe of the place. 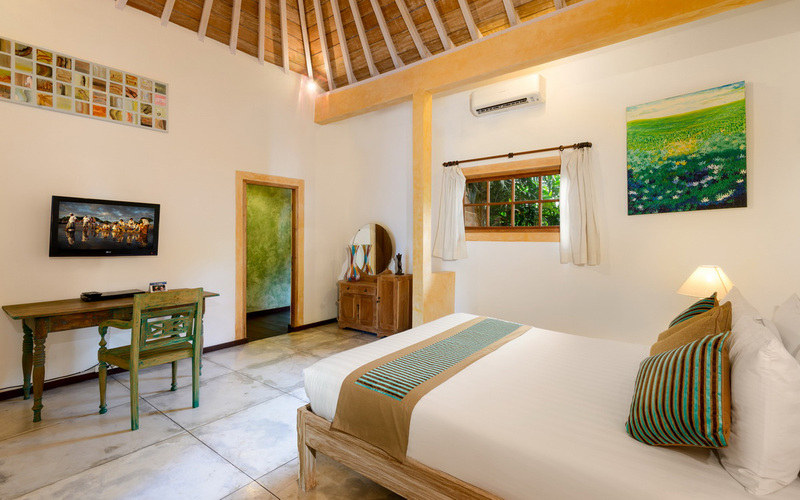 Nest time we are in Bali we are coming back and spending longer here. 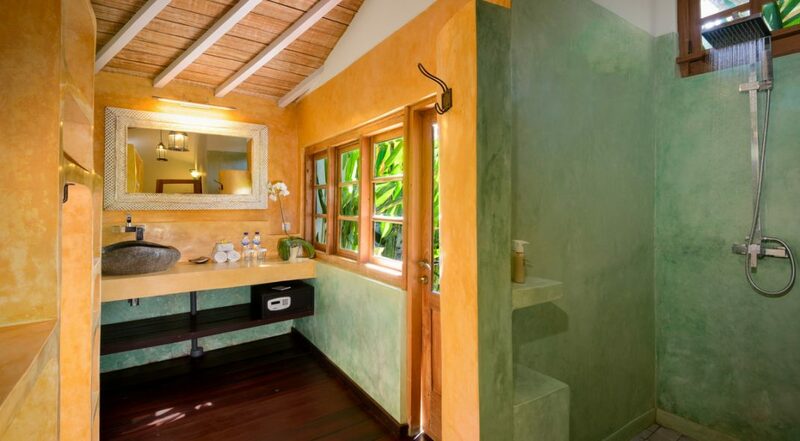 My friends and I stayed here and we all really adored it! Everybody had a sense of personal space, Total bliss! 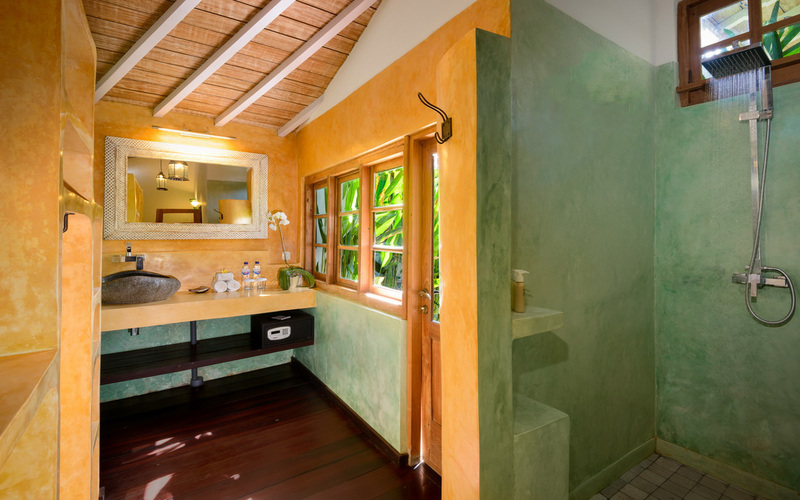 The place was so relaxing and pleasant to come home to after a long day (or night) out. The beach was nearby so we usually just wondered down whenever we felt like it. There were also plenty of restaurants, cafes and places really close by. 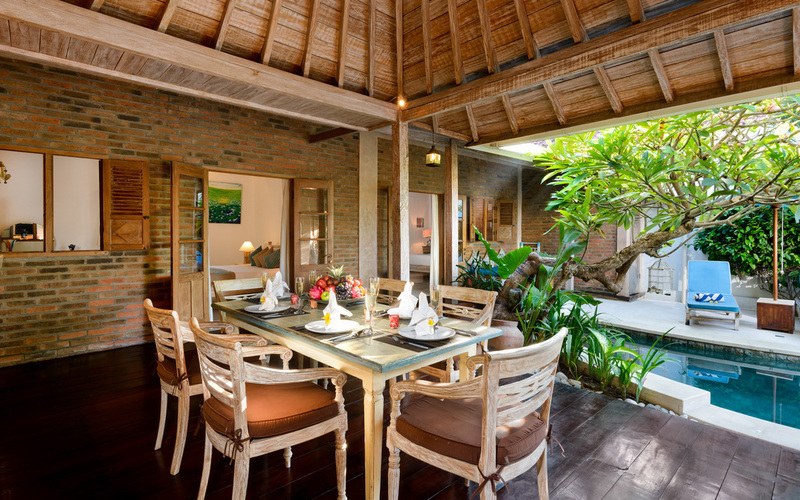 A peaceful villa that enhanced our holiday experience even more. 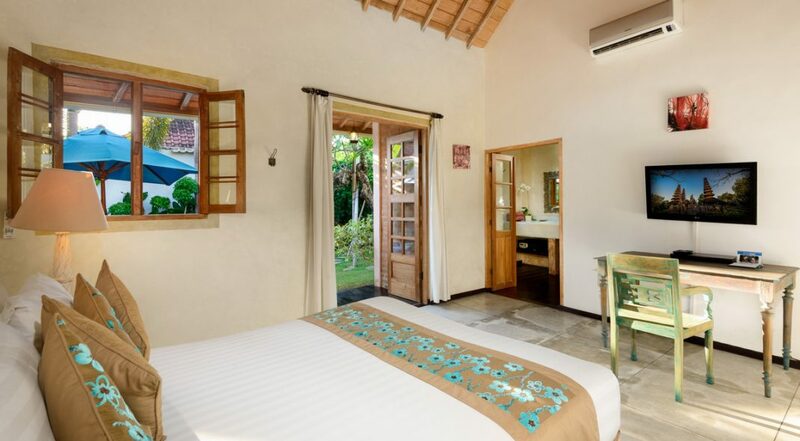 This was our first time in a villa (we generally stay in hotels along the beach in Kuta or Legian) and from now on it's holiday villa living for our troop. 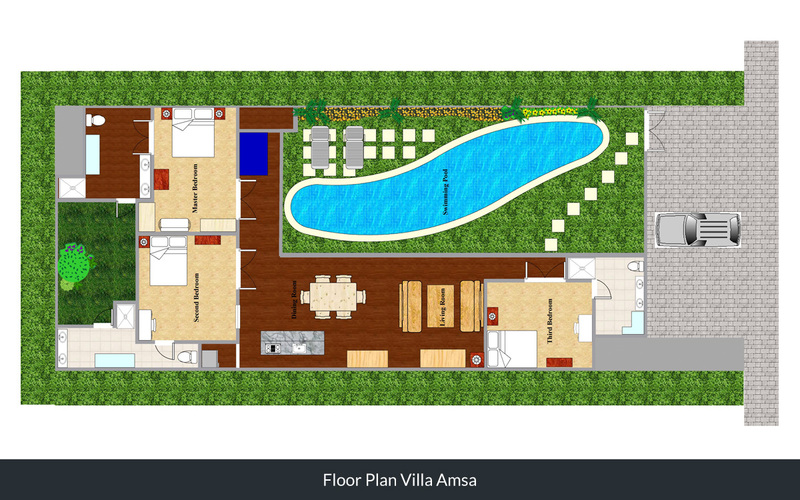 Convenience and location are the 2 things that make Amsa a 10 out of 10. Really good value and I thoroughly recommend it. 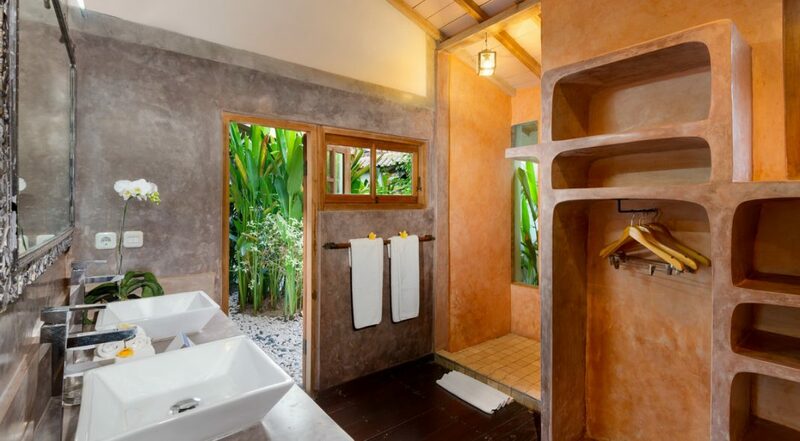 Came here with our 2 teenage daughters and could not have asked for a better villa. So close to the beach and shops which was perfect for us. 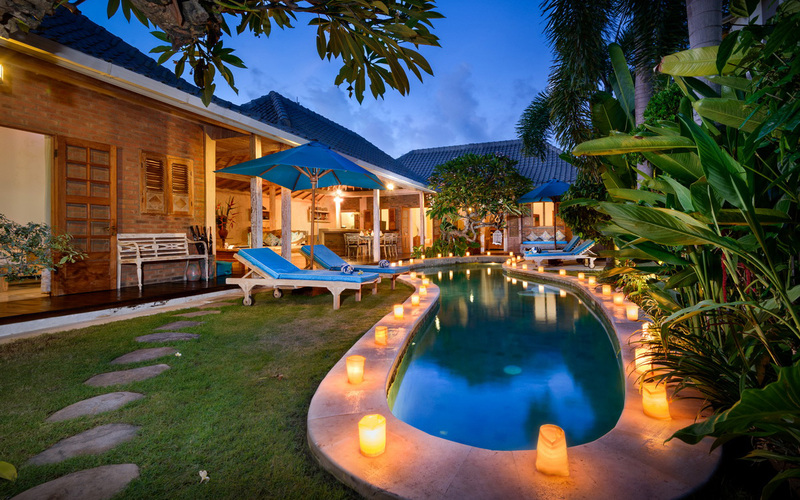 What a lovely villa and what a pleasant surprise it was to see the place for the first time. 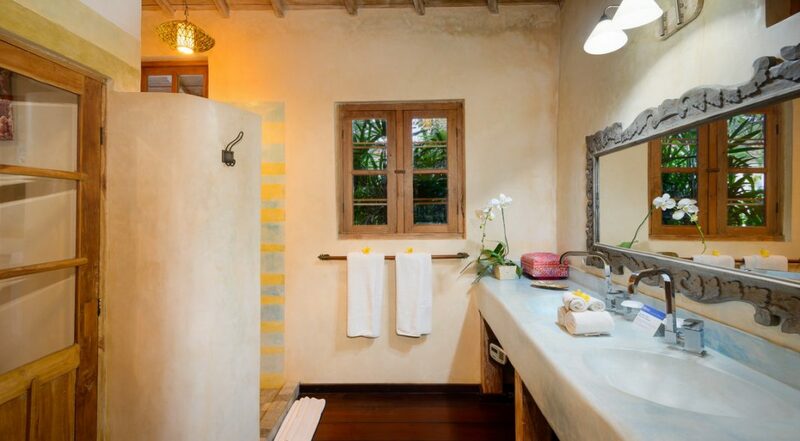 Quiet, clean with a really gorgeous ambiance. For our family of 5 this was absolute holiday fun. Location, location , location!!! 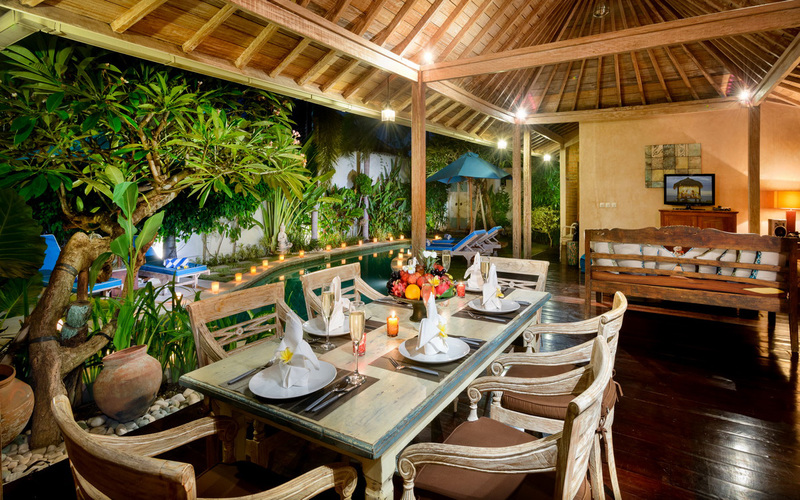 One of the best in Seminyak. 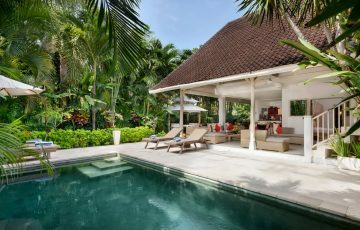 Spent 8 days here with the kids and they are begging me constantly to come back to Bali. We are so happy we found this place. 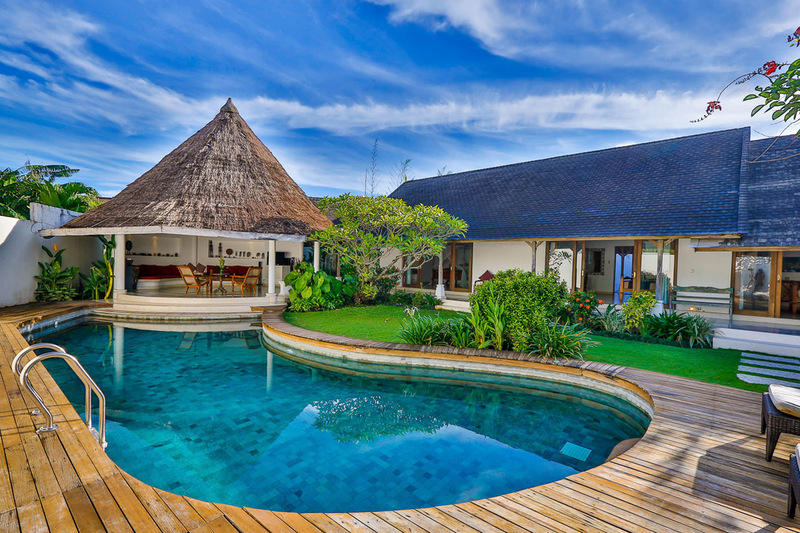 To all the staff at Villa Amsa, we can't thank you enough for such a wonderful holiday. Putu & Kadek, your the best!! 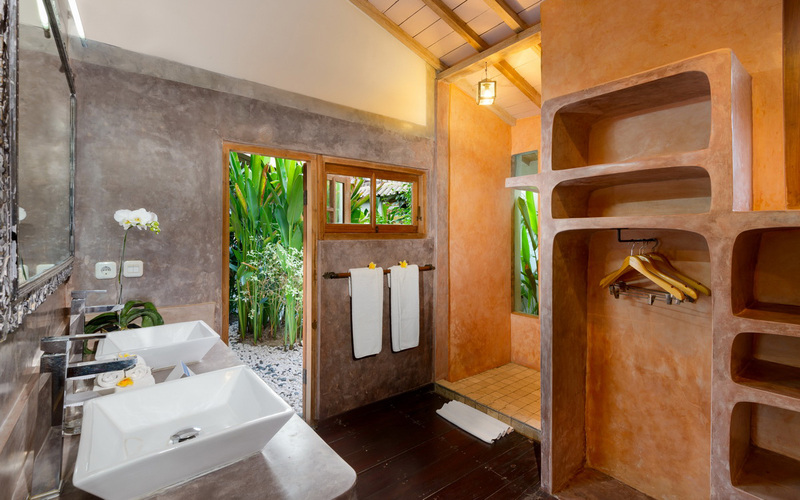 Beautiful villa, well maintained and clean. Staff were great.